After shunning the runway to pursue a new career in acting, Cara Delevingne has decided to take her career in yet another direction: Writing. Will this woman ever stop? Cara made an appearance at Waterstones Piccadilly in London to promote her debut novel “Mirror Mirror” that you can buy at Amazon. Cara Delevingne signs copies of her debut novel “Mirror Mirror” in London on October 4, 2017. Cara goes studded in a short blue dress by David Koma. 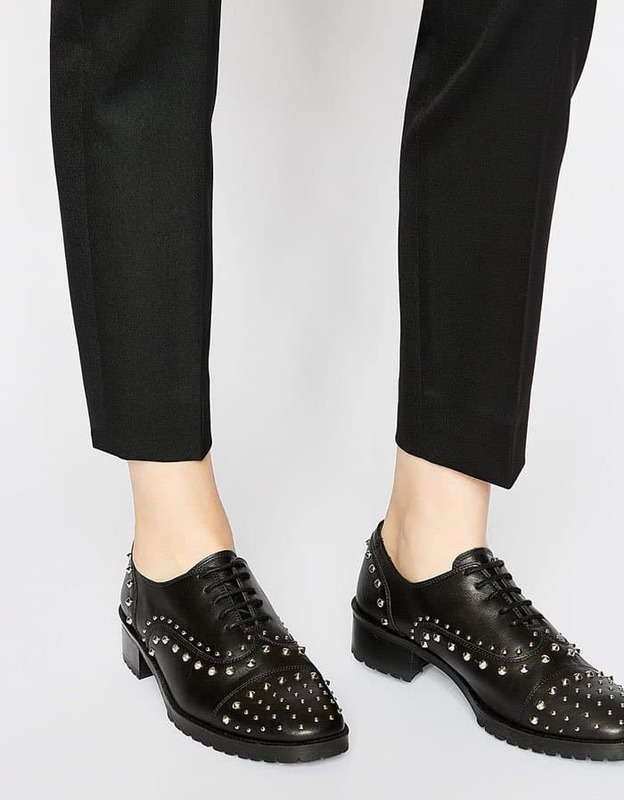 Cara takes the studs all the way to her feet with a pair of derbys by The Kooples. After debuting her dark, pixie-cut locks, the model thought it would be fun to go rock-and-roll chic. Cara arrived at the book signing in a studded blue mini dress by David Koma. Not only that, Cara took the studs all the way down to her feet. The model-turned-actress-turned-author turned up the metal in a pair of The Kooples leather derbys. Cara was also spotted wearing a navy blue coat just moments before her book signing. Cara jokes around with the press at her book launch. The model was seen outside the Global House right before the book launch. At the launch, Cara said she has always been the creative one in the family. We’re not quite sure just how much of the book was actually written by her, but we trust that the plot came from her at the very least. “Mirror Mirror” is about a group of teenagers with complicated personal lives seeking refuge in their band. When one of them mysteriously disappears and turns up unconscious, the rest are forced to face their own dark issues. Cara has not commented on whether the story is purely fiction or inspired by a personal experience. The model “swims” in her books inside her London hotel. 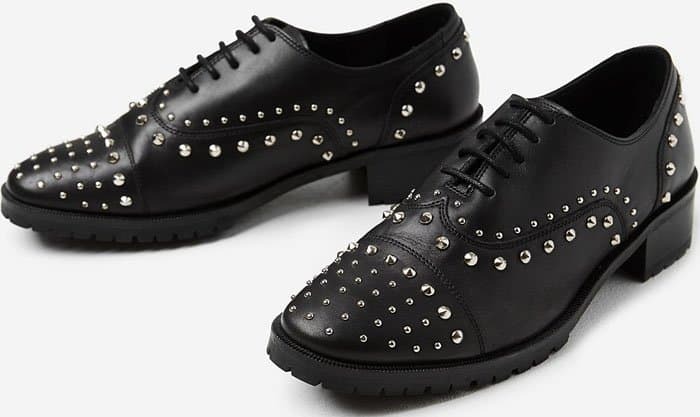 Shop Cara’s studded leather derbys at The Kooples.